As a devout Star Wars fan, you know that Chef Bretto and I look for any excuse to turn any dish into Star Wars themed food. Why should homemade chocolate cake be any different? 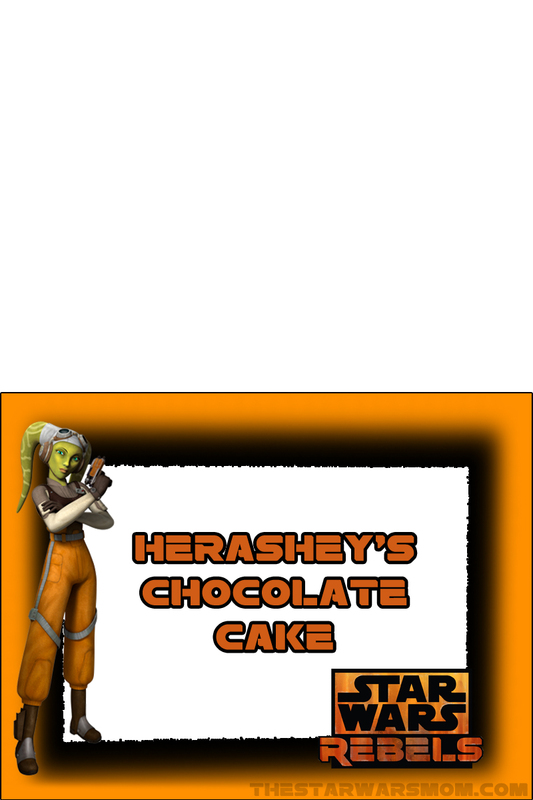 Of course if you don't want to bake a cake, you can always buy a chocolate cake and just print out our free Star Wars party food label for Star Wars Rebels Hera-shey's Chocolate Cake. The recipe - Star Wars Rebels Hera-shey's Italian Chocolate Cake - is on my Italian Cooking Website, but the label is found here. We have made the recipes much easier to print. 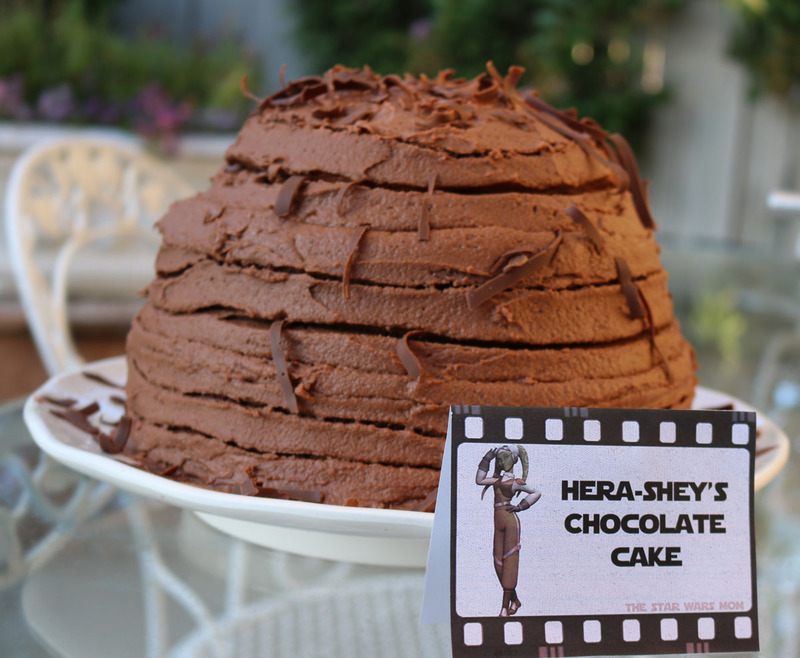 This "synfully" rich cake uses some Italian ingredients to give it that Italian spin, but the name is after the amazing Twi'lek, Hera Syndulla. As a mom, I love Hera's nurturing nature. 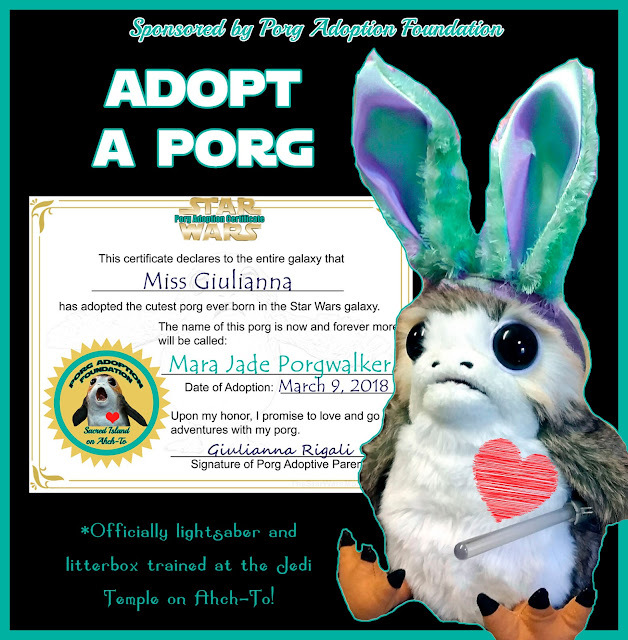 She strongly loves her "adopted" family and never ceases to feel protective of them. She holds their home together, wherever it is on her ship the "Ghost." I find her to be a strong role model for females. Hera is beautiful in character and looks, but she doesn't dress provocatively. She's an outstanding pilot (yet not cocky), she owns property, and she leads by example. She's optimistic. Even though times are rough, she holds onto hope and pushes forward for a better future. She's not okay with sitting on the sidelines, she fights for the truth. She's trustworthy. She's encourages her family of friends to be the best version of themselves, by delegating responsibilities to them and then expecting them to do their part without excuses. 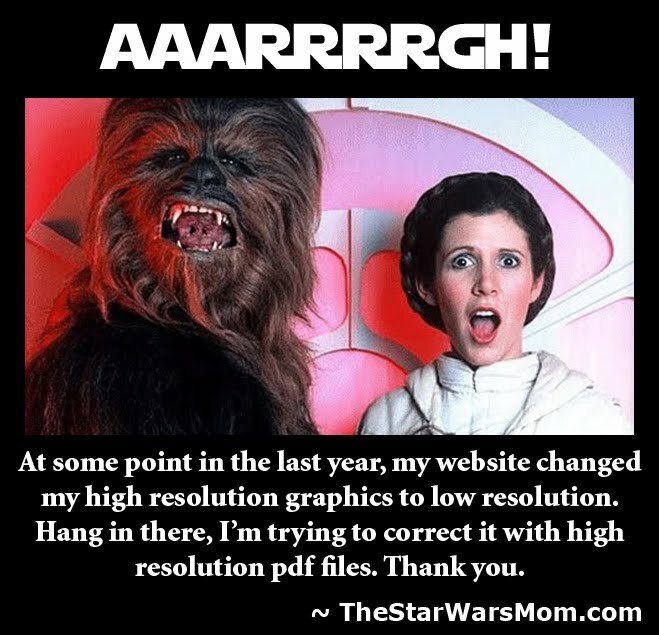 And that's how I hope to always be as The Star Wars Mom.